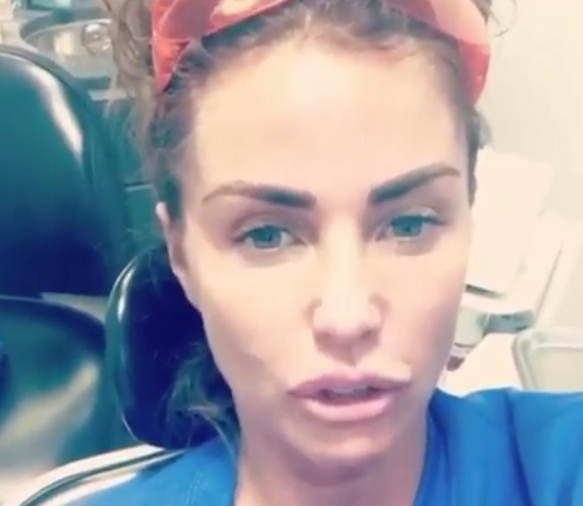 Just why did Katie Price fall in love at her dental hygiene appointment? 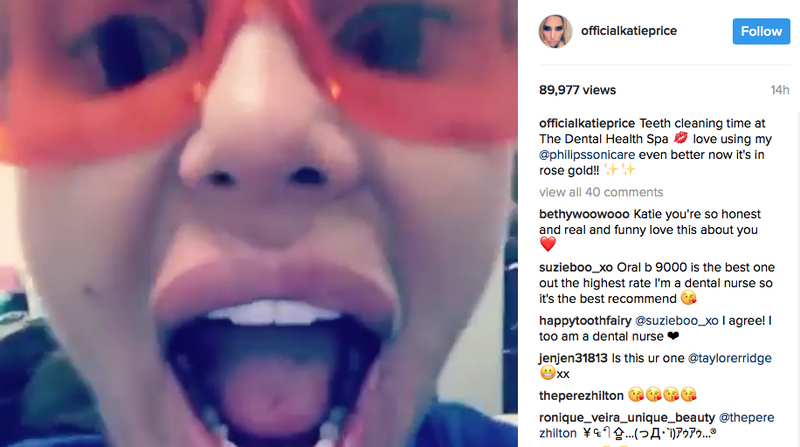 Katie Price was in a playful mood this week as she Instagrammed her trip to have her teeth cleaned. A long-time patient of Comparethetreatment expert and dental hygienist Christina Chatfield, the TV celeb filmed her latest appointment for her fans – while the owner of Brighton’s Dental Health Spa gave her teeth a clean. Christina says: ‘Katie used to be so nervous but now she really loves her hygiene appointments. We use air flow with eryhtritol for a superior clean as it is great for whole mouth. The former glamour model, filmed in the dental chair, even took home the pretty and effective Sonicare Rose Gold Brush, reporting: ‘I've used these brushes for years…. love it, love it’ because she said, mimicking Madonna’s song, they ‘get into the groove’! Christina laughs: ‘I was cleaning here teeth and she asked if I minded her filming, she knew I would be fine. It’s always a whirlwind and she’s great fun! The celebrity has been a patient at the trendy seaside clinic for ‘many, many years’, and has been involved in promoting awareness of mouth cancer and the risks of the HPV virus. Katie is no stranger to cosmetic enhancements – teeth, face and body. Over the years, she’s had veneers fitted, breast augmentation, lip fillers and Botox. And, her dental trip was not the ony video she shared on Instagram recently. For Katie, she’s seemingly already fallen in love – with her hygiene appointments, her Sonicare brush, her cosmetic tweaks – oh, AND her husband, of course!